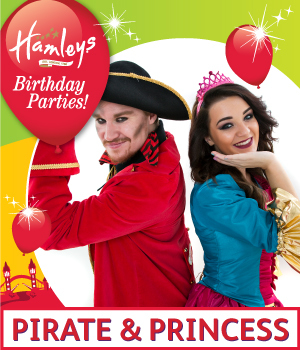 Hamleys Birthday Party London - Fun and Frolics at our flagship store! 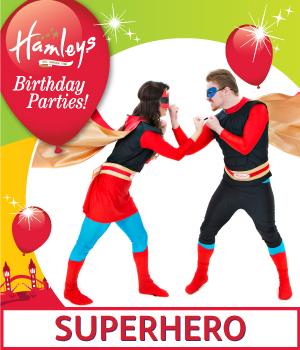 Birthday Parties at Hamleys Regent Street! Have your Dream Party at The Finest Toy Shop in the World! Guests: Minimum 10 children, maximum 16 children, maximum 4 supervising adults. Party Add-Ons: Professional face painting by London Facepainers, Photographer, Magician - enquire about additional costs. 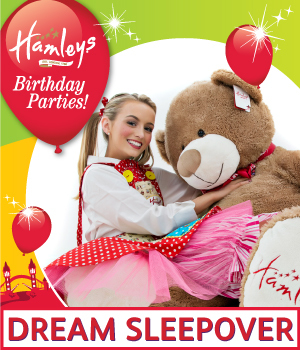 *Birthday Parties are only available between January  November due to Hamleys Father Christmas Experience. The Meet Father Christmas sessions can be fully booked out as an alternative. 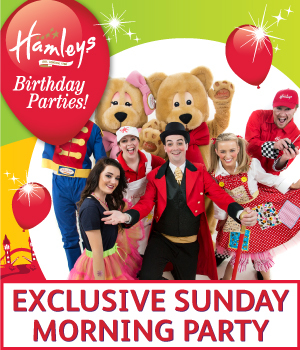 Select Hamleys Toy Shops also offer the Exclusive Sunday Morning party throughout December, please enquire for further details on Birthday Party services during December. 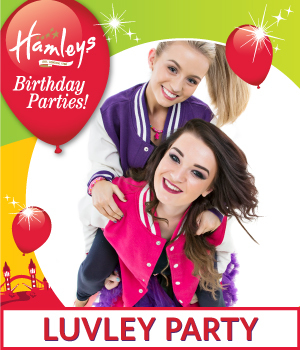 Hamleys Themed Party  Luvley! Hamleys Themed Party - Superhero! Party Add-Ons:Professional face painting by London Facepainers, Photographer, Magician - enquire about additional costs. 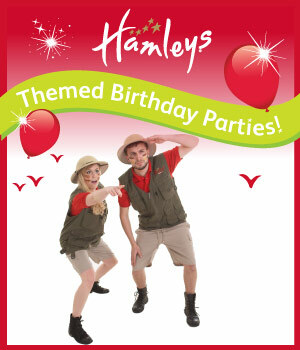 Hamleys Themed Party  Safari! The Exclusive Sunday Morning Party! Guests: Minimum 20 Children, maximum 4 supervising adults. Party Add-Ons: Photographer - enquire about additional costs. Guests: Minimum 10 children, maximum 15 children, maximum 2 supervising adults. Party Add-Ons: Magician, Professional face painting by London Facepainers.